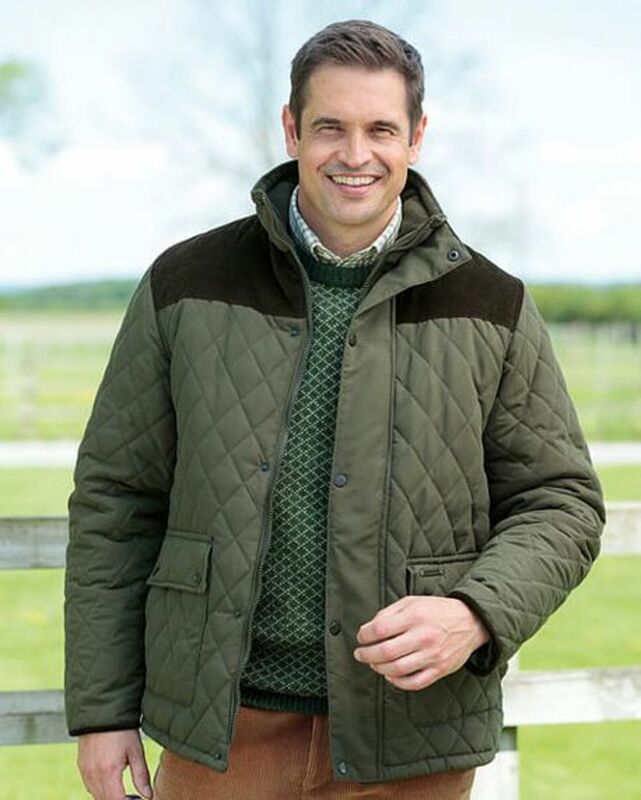 Men's green quilted jacket. Cool machine wash. Sizes M-XXL. Classic quilted style with zip front and studded storm flap. Front patch pockets with studded flap and handy inner pocket. Attractive contrast cord yoke and cuff trim. Fully Lined with warm fleece lining. 100% polyester with polyester fleece lining.